If you’ve been dreaming of owning a certain European luxury performance vehicle, look to Star Class Motors’ pre-owned vehicle sales program to help make that dream a reality. Star Class Motors offers a better option in the Omaha area for finding that special car you’ve been looking for. Besides choosing from European luxury automobile brands like Audi, BMW, and Jaguar, every pre-owned vehicle we buy meets a long list of quality standards– because we consider quality to be of the utmost importance in everything we do. So, when you purchase a pre-owned European luxury vehicle from us, you know you’re still getting the very best. First of all, we never buy any pre-owned vehicle with a salvage title or history of an accident. That should go without saying, but we just wanted to be clear. The pre-owned vehicles we sell will have never had and body work done or any other major repairs. We’ll also never buy a pre-owned vehicle that was owned by a smoker. You can never truly get rid of the odor– there are only temporary fixes, and we know how to spot those. The bottom line is, we’re not afraid to turn away from a pre-owned vehicle purchase because the car isn’t something we’d personally want to drive. Star Class Motors’ sales program usually looks for late model, European luxury performance vehicles that have low mileage, a sign that the car was well cared for. Although we mostly find those vehicles at auctions, the ones we purchase are typically lease-returned vehicles or executive demos. When we buy from private party sellers, it’s usually because we’ve already established a relationship with the vehicle’s owner and know the car’s history because we’ve been servicing it. Once a European luxury performance vehicle meets the Star Class Motors quality standards, we do a full tune up. All service work is done on site by our factory trained and certified technicians. These passionate professionals treat every pre-owned luxury performance vehicle as if it were their own. No vehicle is sold until it has been uniquely cared for by them. Our service doesn’t stop after the sale either. Our customers understand the heart we put into the vehicles and trust our trained technicians to handle their ongoing maintenance needs. We aim to keep our customers for life so we keep up with the latest advancements among the European luxury auto brands. 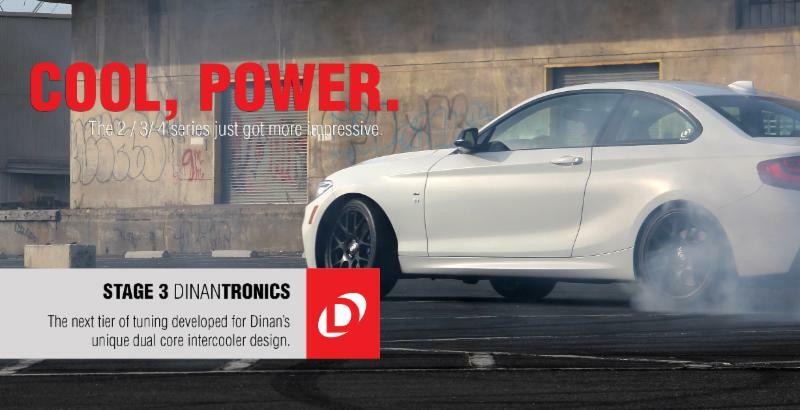 For example, Star Class Motors became an authorized Dinan Performance Center. Buying a car from Star Class Motors isn’t like buying from any Omaha auto dealership. We don’t accept all trades, and we keep our inventory and margins low. We’re a small, quality-focused business, and therefore, we’re able to offer a more personalized experience. For example, all of our employees are available to answer questions, you can even talk to the person turning the wrench on your vehicle! Our ultimate goal is that our customers will see how well their vehicle was cared for before they purchased it, and that they’ll continue to use us for their ongoing maintenance after the sale. Bottom line– you’ll have greater peace of mind when you purchase a pre-owned European luxury performance vehicle from Star Class Motors. For starters, CarFax shouldn’t make your final decision. Although CarFax is able to give a list of repairs and accidents, it can only show you what’s been reported. (Got a buddy who does custom paint jobs?) Any repairs that were done personally or “off the books” won’t show up on a CarFax report, and it happens more often than you’d think. We’ve seen for ourselves plenty of cars that had clean CarFax reports, but weren’t even close to any one of our quality standards. Reputable repair shops and dealerships will report all incidents of service and repair they preform, but without a trained eye, they might miss repairs done by others if they aren’t on the CarFax report. When Star Class Motors’ sales department looks to purchase a pre-owned vehicle, they start by walking around the vehicle, looking at it from different angles. One easier item to pay attention to is paint color and quality matching. When you open the doors, hood, and trunk, if you see evidence of a lot of sanding, scratches, or the two sections look mismatched (like the hood and the front bumper), body work was most likely done to the vehicle. Besides color, also pay attention to the texture of the paint. No paint job, even a factory paint job, is perfectly smooth, but will have its own “orange peel” type texture. You can check this by running your hands along the panels to see if the texture doesn’t feel the same. At certain angles you can also see the texture and notice the change where body work was done. Along with paint texture, check all of the seams where sections of the vehicle’s body meet. For instance, check to make sure that the bumper edge lines up perfectly with the rear side panels. If anything looks even the slightest bit mismatched or out of line, the bumper was most likely replaced at one point. (And if that repair isn’t on the CarFax report, walk away!) Also check to see if any bolts have been painted over or the paint’s been broken, and what condition they’re in. For instance, if the underside of the body looks its age, but you notice some bright shiny bolts or other hardware, beware. If you see something that is visually inconsistent with the rest of the car, you’ll know that work was done there. You also want to make sure the previous owner kept up with routine maintenance on the vehicle. One of the best ways to gauge this is to check the tire tread. All 4 tires should have the same depth of tread. The brands and models should match, too. Also check to see if the hub caps and rims have any curb rash- a sign that the tire alignment and balance may be out of whack. It’s also a sign that the previous owner may not have been the most careful of drivers, which should make you wonder about how well the vehicle was cared for overall. Just because it’s shiny, doesn’t mean it’s clean. Some dealerships will apply a silicone dressing to help the vehicle look shiny and clean, and in better shape than it actually is. If you run your hand along any part of the car, inside or out, and it feels greasy, it may not have been cleaned properly. If that’s the case, take it a step further and examine the texture and grain of the upholstery or leather more closely. Look for scratches or worn spots that may have been easily masked by the silicone. Make sure to check for any puddles or drips under the vehicle as well. The biggest piece of advice: never become emotionally attached to the vehicle before you have had a chance to see it. One of Star Class Motors’ salesmen had driven to Chicago once for what we thought was a clean luxury vehicle with a clear title. Although the person on the phone had told us this, it was a completely different story when he arrived, and he came home empty handed. Getting attached to a vehicle hinders your ability to make sound decisions. Make sure that you’re able to walk away the first time your gut kicks in as tell you something might be wrong with the vehicle. Never compromise on quality when it comes to buying a previously-owned European luxury performance vehicle. If you’d like to avoid all of the warning signs when looking for your next pre-owned vehicle, just come to Star Class Motors. Our sales team has already done the quality inspection for you. Buying a car from Star Class Motors isn’t like buying from any Omaha area dealership. Besides what’s listed above, no pre-owned European luxury performance vehicle is sold until it has been uniquely cared for by our factory trained technicians. You’ll always have greater peace of mind when you purchase a pre-owned luxury vehicle from Star Class Motors. Star Class Motors holds their pre-owned luxury vehicles to a high standard. When we go to auction or have a private party interested in selling, we are very particular.